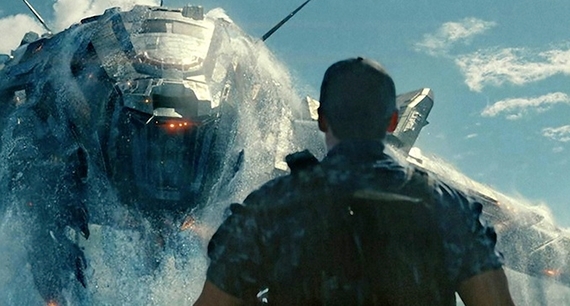 ENTERTAINMENT: The blockbuster board game adaptation Battleship comes to DVD this week, as Taylor Kitsch and Liam Neeson fight off an alien invasion. We've got it on DVD and Blu-ray and it's sure to entertain in either format! Also, despite being marketed as children's films, the movies that Britain's Aardman Animation creates are always good fun for the whole family. The Pirates! Band of Misfits, which stars the voices of Hugh Grant, Jeremy Piven and Salma Hayek, is another one of their modern claymation extravaganzas. SERIES: One of the most anticipated series to hit DVD in some time is Homeland. This Showtime series stars Claire Danes as a CIA Officer who suspects that a recently returned Marine Sergeant might be planning an attack on America. It's suspenseful and was nominated for nine Emmy awards, including Best Drama Series, Lead Actress and Lead Actor. For you anglophiles we've got Injustice, a new series from the creator of Foyle's War. It's a legal drama and police investigation starring James Purefoy. Also out this week are season 2 of the zombie extravaganza The Walking Dead and the fifth and final season of In Plain Sight. SUBTITLED: Headhunters is a Norwegian thriller based on Jo Nesbo's novel. It tells the story of a headhunter who steals art on the side and discovers something that disrupts his life. It's an intense, exciting, violent film, with a Coen brothers feel. ENTERTAINMENT: There are two sly new comedies on tap this week. First is Bernie, starring Jack Black, Shirley MacLaine and Matthew McConaughey in a film based on the true story of a Texas funeral director who befriended the crankiest widow in town and later was accused of her murder. Richard Linklater, director of Before Sunset, Dazed and Confused and Waking Life, directs this film with a light hand and an abundance of charm. Also this week is The Dictator, Sacha Baron Cohen's newest cringe-inducing comedy. He reunites with Larry Charles, the director of Borat, in the story of a dictator who is abandoned in America. SERIES: We've given you a chance to become acquainted with the first 7 seasons of House M.D. and now the 8th and final season of House arrives on DVD. Also coming out this week is series 3 of the BBC's period legal drama Garrow's Law as well as season 7 (the final season) of The Closer, starring Kyra Sedgwick. SUBTITLED: The much anticipated Academy Award winner for best foreign language film - A Separation - finally arrives on DVD this week. It's an Iranian film about the relationship between a husband and wife and the conflicts between the various classes in contemporary Iran. Chile is another country that has been putting out some great films and we've got two very different ones this week. Bonsai is a melancholy film about a writer who yearns for a love whom he let slip away. A much darker film is Post Mortem, which is set during the 1973 military coup and focuses on a lonely morgue clerk who is infatuated with the burlesque dancer next door. 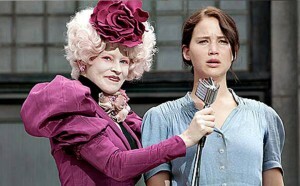 ENTERTAINMENT: One of this year's biggest hits, the The Hunger Games, is the story of a dystopian future where teenagers are forced to fight for their lives in a yearly televised spectacle. It's based on an insanely popular series of novels by Suzanne Collins and received glowing reviews from critics. We've got it on DVD and Blu-ray and we'll also be showing it at the library on Monday, August 20th at 6:00 for 6th - 12th graders. DOCUMENTARIES: If you're interested in Israeli culture you'll want to be sure to watch Inventing Our Life: The Kibbutz Experiment. The New York Times calls it a "fascinating introduction" to the history of kibbutzes and the challenges that they currently face. Fans of well-made true crime documentaries will want to see Paradise Lost 3: Purgatory, the third in a trilogy of documentaries following the 18 year fight to prove the innocence of three men who were teenagers when charged in the supposedly satanically motivated killing of a young boy. It was nominated for an Academy Award. 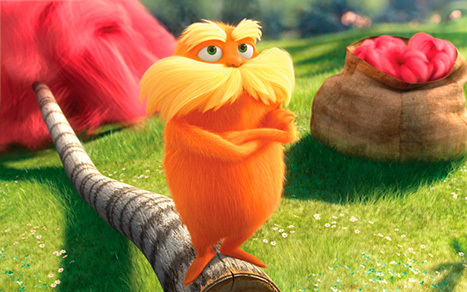 ENTERTAINMENT Everybody's favorite furry orange ecologist The Lorax comes to DVD this week. It stars the voices of Danny DeVito, Ed Helms, Zac Efron and Taylor Swift. Also this week, Robert Parker's Jesse Stone is back in his eighth film, Benefit of the Doubt. Tom Selleck returns turn as the now retired sheriff of Paradise, Mass who is called back into action. DOCUMENTARY Marley tells the story of Bob Marley and his role in Jamaican music and politics, with plenty of rare footage and interviews with family members and associates. The director Kevin MacDonald has brought us the two great documentaries - Touching the Void and One Day in September - and Marley promises to be just as enthralling. SERIES Season 3 of Parenthood, the sweet NBC family comedy/drama starring Craig T. Nelson and Lauren Graham, comes to DVD this week. It's a slow week for new releases, with the Emmy-nominated History Channel miniseries Hatfields & McCoys as the biggest one. This is a different type of miniseries than History Channel has typically produced, with an all-star cast of Kevin Costner, Bill Paxton, Tom Berenger and Mare Winningham (all of whom received Emmy nods). If you enjoy history-rich Westerns you'll want to pick this one up. SERIES There are no new series coming out this week but there's good news for all of you fans of the new series The Newsroom. We now own the series that made Aaron Sorkin a star - The West Wing. It's seven seasons long and is sure to get you in the mood for the upcoming presidential election! SUBTITLED In Le Havre, Finnish director Aki Kaurismaki tells the warm-hearted story of a kindly French shoe shiner who befriends a young African refugee and tries to keep him from being deported. It's a sweet film that's got a 99% Fresh rating on Rotten Tomatoes, which is a great indication of its qualities! DOCUMENTARY Would you like to know why poker has been so hot over the last few years? Check out All In: The Poker Movie, which has interviews from everyone from Matt Damon to poker champion Annie Duke. You can find all upcoming and recent DVD releases in Bibliocommons.